Click to listen to part one- Bill Ringler of S.C.O.R.E. It’s that time of the year. You woke up with a scratchy throat, and over the course of the morning you find yourself coughing more and more. By the afternoon your head is thumping and you feel feverish. Do you have a common cold, or are you experiencing this year’s flu? According to the National Library of Medicine “colds rarely cause a fever or headaches.” Well there’s the bad news, is there any good news? For most people the flu is simply a serious inconvenience lasting one to two weeks. However, the CDC reports that “every year in the United States, on average: 36,000 people die from the flu and more than 200,000 people are hospitalized from flu complications.” So, the flu is not something to be taken lightly. Moreover, it’s not uncommon for a bout of the flu to lead to sinus infection or even pneumonia. What’s the best way to avoid becoming another statistic? According to the CDC, “The single best way to prevent seasonal flu is to get a flu vaccination each year.” The Alabama Department of Public Health provides a list of flu clinics in Jefferson County and a nifty little zip code box to help you find a flu shot near to you. For those who have an aversion to needles, or must postpone a trip to a clinic for a shot, try following some simple preventative habits. 1) Avoid close contact with those already exhibiting symptoms. 2) Clean your hands frequently. 3) Avoid touching your eyes, nose or mouth. Is it too late? Do you already feel the sniffles coming on? If you feel up to it, you might want to look through one of our databases: Health & Wellness Resource Center. A database certainly never replaces a doctor or other medical professional, but this database will provide you with a wealth of information on over the counter remedies, natural remedies and magazine articles on cutting down your recovery time. The movie, Miss Potter, reveals the story of Beatrix Potter, author of the beloved children’s classic, The Tales of Peter Rabbit. The enchanting story of Beatrix Potter was filmed in the beautiful Lake District in the North of England. The lush, dramatic scenery inspired the illustrations and writings of the most successful classic children’s author of all times. Spectacular views of lake scenery, countryside and woodland trails inspired the characters and settings for many of Potter’s books. Watch this movie and be swept away into the world of Beatrix Potter, one of beautiful English countryside, gardens and of course, tiny clever creatures envisioned by this imaginative author. Renee Zellweger portrays the shy yet spirited children’s author. We follow Potter’s struggles to get her first book published and then see her fall in love with her publisher, Norman Warne. As a young female author, Beatrix suffered many of the prejudices that female writers struggled with during this time period. The breathtaking beauty of Britain’s Lake District provides the perfect, romantic landscape for Potter and Warren’s relationship. Throughout the movie, we are taken back to Potter’s childhood. We learn that, even as a young child, Beatrix displayed a vivid imagination, as well as a drawing talent that allowed her to create beautiful illustrations of nature. The fanciful dreams of young Beatrix resulted in her seeing the creatures come to life in her mind. In Potter’s imagination, these clever creatures including ducks, rabbits and other animals, engage in all types of antics. In the movie, we view the author’s sketchbook of illustrations, including drawings of plants and animals. She seemed to draw each one with accuracy and love, displaying creativity as well as a love for all creatures and the English landscape. Beatrix Potter became a strong environmental advocate and succeeded in protecting the land she loved so much. Watch Miss Potter and you will be richly rewarded by a tale as lovely as the delightful stories that filled the imagination of this much loved children’s author. You will also get to know the wonderful author who created some of your favorite children’s stories. Beatrix Potter's Lake District: Visit England's beautiful Lake District area. I love to discover an older series of books. This means that I can check them all out, set them on my nightstand, and enjoy them all in one reading frenzy. No waiting years for the next one to be published. Six years ago I picked up Dennis Lehane’s incredible Mystic River, and was pleasantly surprised to learn that he had an entire crime fiction series for me to devour. And that’s just what I did. For those who have yet to read his Patrick Kenzie/Angela Gennaro detective series set in Boston, please add these books to your reading list. Kenzie and Gennaro are on-again, off-again lovers who work together as private eyes. They have friends on both sides of the law, and they don’t discriminate when it comes to needing help solving a case. And morally, they’re not above using childhood pal Bubba Rogowski’s persuasive service of breaking kneecaps, if that’s what it takes. Gone, Baby, Gone is the most powerful book in the series. Dealing with missing children, guardianship, and pedophilia, it’s a disturbing book but the whizbang of an ending is worth the price of the painful subject matter. Gone, Baby, Gone, directed by Ben Affleck and starring his brother, Casey, Morgan Freeman, and Ed Harris. The week of October 21-27 is National Friends of Libraries Week. Just who are these Friends of the Library and why are they being celebrated? This is an association of volunteers and benefactors who recognize how important libraries are to communities and who donate their time and money to help promote the library. Volunteering at our book store, helping out at functions, contacting officials about library funding, and awarding “beyond the budget” prizes to our libraries to fund special projects are just a few of the things the Friends of the Birmingham Public Library do for us. The BPL would like to send a shout-out to all our Friends for their dedication over the years. And just like individuals, libraries always need more friends. If you would like to become a Friends of the Birmingham Public Library, please visit our Friends page for more information. 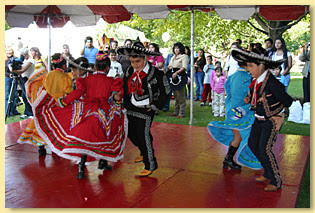 The 5th annual Fiesta that celebrates Hispanic culture is happening on Saturday, October 20 from noon to 8:00 p.m. in Linn Park. Festivities will include live music, children’s art activities, dance performances, food, and more. It is free and open to the public. Other happenings during Fiesta 2007 is a visit from C-SPAN2’s Book TV Bus. The bus will be parked outside of the Birmingham Public Library from noon to 3:00 p.m. The nationwide tour is promoting C-SPAN’s unique non-fiction book programming. In partnership with Bright House Networks, the bus will offer tours of its studio set, participation in an interactive demonstration about Book TV programming, the opportunity to learn how a television show is produced, and a chance to sign up for programming alerts. Author John Green celebrates Teen Read Week by taking his brother Hank on a video tour of his meticulously shelved home library. Not only is Green a passionate advocate of reading, but he is also a conscientious young man who makes sure to always separate his books on Islam and Christianity with a wicker basket to keep them from fighting. Nerds…gotta love ‘em. James M. Deem, author of the Read It Forward book, Bodies From the Ash, will be discussing his book about Pompeii at several branch locations and Woodlawn High School November 5-6, 2007. Woodlawn High School 1:30 p.m.
Five Points West 6:30 p.m.
Just as the afternoon sun slips out of the downtown sky, like a platinum blonde sliding into a black party dress, the night owls will gather at the library. 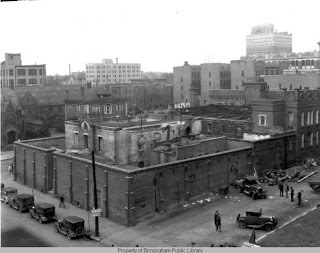 Join Jim Baggett, BPL Archivist, for a nighttime walking tour of notorious downtown historic sites. Tour dates are October 26 and November 2 and begin at 5:45 p.m. in the atrium of the Central Library. The tour lasts approximately one hour and there will be a break for refreshments at Safari Cup. Admission is FREE but reservations are required. Contact Jim Baggett at (205) 226-3631 or jbaggett@bham.lib.al.us. 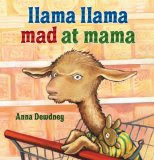 Anna Dewdney’s new book Llama Llama Mad at Mama is about compromise between a mother and child (or cria in this case). It’s playtime for Llama Llama, who is having fun with his blocks and puzzles. But Mama Llama needs to run some errands and plops Llama Llama into his car seat to head for the Shop-O-Rama. But Llama Llama’s just not in the mood for standing in lines and trying on clothes, so he starts to whine and knock items off the shelves. Coffee, bread, and chips galore. Shoes and sweaters hit the floor. Mama Llama yells “enough!” and reasons with Llama Llama. Please stop fussing, little llama. No more of this llama drama. But at least I’m here with you. It’s a sweet book that teaches empathy, patience, and working as a team. The rhymes are fun to read aloud and the bright illustrations fill up the pages. 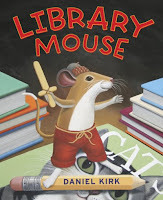 Library Mouse by Daniel Kirk is a wonderful early introduction to the library. Sam lives behind the wall in the children’s reference books. He sleeps during the day when the library is busy with folks studying, using the computers, and checking out books, but at night the library belongs to Sam. Sam makes the most of his nights, reading book after book on every subject. One night he decides to write his own book. He takes the advice of “write what you know” that he found in a how-to book on writing, and writes his life story on little pieces of scrap paper he takes from the librarian’s desk. When he shelves it in the biography section (correctly, I might add), a child finds it and shows it to the librarian. 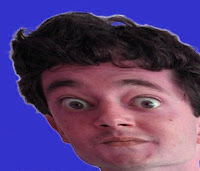 Sam soon becomes a celebrity when his books are snatched off the shelves by eager children. But no one knows who Sam is. Librarians are always full of bright ideas, so they decide to have a Meet the Author Day. But Sam is a shy mouse and wants to remain anonymous. Mice are full of bright ideas, too, and Sam comes up with an ingenious way to stay hidden and still make sure the program is successful. 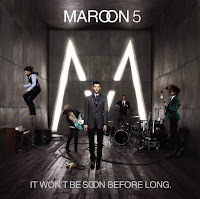 Hummmm…”’M’ is for the million things she gave me, ‘O’ means only that she’s growing old…,” oh, forget it. That song’s all wrong for this little jewel of a movie. The movie is The Mother, a title that evokes strong feelings of security and love, but there’s not much of either to go around here for this bunch who are a family in name only. Grandma May (Anne Reid) and grandpa Toots (Peter Vaughan) have come to London to visit their grandchildren and children, Bobby (Steven Mackintosh) and Paula (Cathryn Bradshaw), but it’s obvious that they’re strangers even though they’re only a tube ride away. Her adolescent grandson has to ask who they are when they walk through the door. When grandpa dies during the visit, the distance between the mother and her children is painfully evident when they pass her back and forth, too wrapped up in their own lives to help her through her grieving. Then we notice Darren (Daniel Craig), who is renovating Bobby’s home and having an affair with Paula. And May notices, too, befriending him in the quiet hours of the day when her family is gone. They talk, eat lunch together, and it’s not long before she asks him to come with her to the spare room. The Mother isn’t a pat movie. Bobby and Paula might not be all that likeable, but May might not be the martyred mother she appears to be. True, her son is self-absorbed and her daughter is a package of jagged nerves and low self-esteem, but they might have their reasons for distancing themselves from the mother who was distant to them in childhood. So who here gets blaming rights? And when money gets introduced into the little love affair, dear old mum proves to be just as controlling and selfish as her younger counterparts. The Birmingham Public Library invites kids under the age of twelve to participate in the Disney on Ice Finding Nemo Read-To-Win Activity. Visit any Birmingham Public Library location today and register to join in the fun. Every child who completes their individual reading goal will receive a $10 discount coupon for the Disney on Ice production Finding Nemo (playing at the BJCC Arena Oct. 31 – Nov. 4, 2007). A grand prize winner from each Birmingham Public Library location will be selected by random drawing on October 30. The winners will receive the opportunity to attend a special program which includes a Meet and Greet with the stars from the show on Thursday, November 1 at 4:00 p.m. in the Birmingham Public Library Central Story Castle. “I never knew the library had that!” boomed the gruff voice from behind me. I turned to see a look of shock followed by delight spread across the man’s face. In an apologetic tone, he stammered that his words probably came out too loudly, but he was just surprised. Discovering that some Birmingham Public Library locations have free wireless Internet access was a revelation to him and there were more surprises to come during this visit. As we spoke, he reminisced about all those seemingly endless shelves of colorful books he remembered from childhood. He recalled the cool chair he sat in to read on hot summer days, the enchanting voice of a favorite storyteller, and how the kindly librarian’s perfume permeated the whole place. Most of all he remembered the joy of being able to take books home to read later. He loved the library of his youth and today the library had amazed him. He found similar up-to-date items in the DVD section. Next, the action packed flick with Nicolas Cage, and Evan Almighty were on the shelf. I explained that we usually get new DVDs the same day as the video store and he could even reserve them just like books. “How?” he asked. While checking out his music and movie selections, I described how our reservation system works. Reserving, by placing a hold, is the fastest way to get the library material he wants. He was surprised that holds can be placed on almost any book, DVD, music CD or audio book the library has. Even soon to be released titles in our catalog like Ratatouille, Live Free or Die Hard, Bourne Ultimatum, or Pirates of the Caribbean- At World's End can be reserved before the actual item arrives. Once the item becomes available, the library will let him know it is on the hold shelf ready to be picked up. For a sports fan, October is a great month. On the one hand you’ve got the baseball playoffs. Even if your team is out of it, you can still take pleasure in watching a rival team lose, or watch a friend’s favorite team advance to the World Series. Heck, you can just watch the playoffs for the sheer joy of watching the best compete against the best. Regardless of how fun a two sport month can be, it can also be confusing to separate the two disciplines. (Not really, but play with me here.) Working in a library I’m surrounded by works from the greatest minds the world has ever known. When confronted with such confusion, I always consult a master for enlightenment. So, without further ado, here's George Carlin to explain the difference between baseball and football. I must confess: I’m a couch potato. I’m not proud but I’m honest. Regardless, this doesn’t keep me from enjoying watching others push their bodies to the limit. Climbing Mt. Everest? I’m there. Football game in the 100-degree heat? I’m there. Clog dancing? I’m there…right there in front of the TV. For some reason this woman who can’t complete one chin up has always been fascinated with mountaineers and their hubristic attempts to scale impossible heights. My favorite story by far is Simon Yates' and Joe Simpson’s 1985 ascension to the 20,814 foot summit of Siula Grande in Peru. Their story became part of mountaineering legend, and was turned into the documentary Touching the Void in 2003. Yes, they climbed ‘cause it was fun. They also climbed because they were young and cocky and knew they could succeed where others had failed. Yates and Simpson did succeed and were the first to reach the summit by scaling the West face, but they made the mistake of descending on the North ridge. The weather slowed their progress and they ran out of food and gas; without gas they weren’t able to melt snow to drink and soon became weak with hunger, thirst, and exhaustion. Then things went wildly wrong when Simpson fell and shattered his leg, forcing the lower bone through his knee joint. He expected Yates to leave him, but Yates stayed and lowered his mate down the mountain, 300 painstaking feet at a time. Yates would anchor himself in a snow seat, lower Simpson down, and when Simpson tugged on the rope, he would climb down and start the procedure over again. But there came a point in their descent when Yates waited for a tug that never came; he had unknowingly lowered Simpson over an overhanging cliff. For an hour and a half Simpson hung in mid-air, and Yates held his place on the sugary slope for as long as he could before he started to slide down the mountain. Then he remembered that he had a pen knife in his rucksack and quickly made the decision to cut the rope and save himself. With this action he dropped Simpson 100 feet into a crevasse. What happened after this is a testament to how nearly indestructible the human body is and just how stubborn two athletes at the top of their games can be. At one time Tom Cruise was in line to play Joe Simpson in a movie version of Touching the Void. Thank goodness that plan was never put into action. The decision to intersperse Yates' and Simpson’s first-hand accounts with two actors re-enacting the scenes was the right one. I've watched Touching the Void many times since it arrived on DVD. Watch it and judge for yourself if it’s more enjoyable and suspenseful than the movies they're passing off as entertainment in Hollywood these days. Joe Simpson has led an interesting life and has detailed his adventures in several books: Touching the Void (1988); This Game of Ghosts (1995); Storms of Silence (1997); Dark Shadows Falling (1999) ; The Beckoning Silence (2003); and The Water People (2006, fiction). Books not listed on our catalog may be available through Interlibrary Loans. Visit his Website Joe Simpson-No Ordinary Joe for more information on his life, books, and films. Think you have what it takes to pull your own body weight up a mountain? Then try these books on mountaineering. If you run into trouble, you won't be the first. And for my fellow couch potatoes, here are some fiction books on the sport. This morning when she read the announcement of who won, BPL's Associate Director, Renee, said, "My favorite author!! Let's blog this. I am so excited." So here it is. Doris Lessing received The Nobel Prize in Literature 2007. To see Doris Lessing's items in the JCLC Catalog, click here. Are you stressed from trying to keep track of when your books are due? Are you fretful waiting for an email telling you that the new book you reserved is available? If so, the Library Elf can help! Avoid overdues with email or text message alerts. Track items you have checked out. Gabriel Garcia Marquez's Love in the Time of Cholera is the most recent Oprah’s Book Club pick. "It is so beautifully written that it really takes you to another place in time and will make you ask yourself how long could you or would you wait for love," Oprah Winfrey wrote on her Website. In his 1985 novel El amor en los tiempos del colera (translated as Love in the Time of Cholera, 1988), Garcia Marquez explores various manifestations of love and examines themes relating to aging, death, and decay in a blend of fact and fable based in part on recollections of his parents' marriage. Set in a South American community plagued by recurring civil wars and cholera epidemics from the late nineteenth century to the 1930s, the novel begins with the death of Dr. Juvenal Urbino, who leaves behind his wife of fifty years, Fermina Daza. Soon after Urbino's death, however, a man from Fermina's distant past appears on her doorstep. It is Florentino Ariza, a telegraph operator who had once secretly wooed her through letters and serenades until her father learned of the romance and put an end to it. The rest of the novel recounts Florentino's determination to resume the passionate courtship of a woman who had given him up for a wealthier, more distinguished suitor so many years before. Garcia Marquez's best-known novel, One Hundred Years of Solitude, was an Oprah's Book Club pick in 2004. Take a peek inside Love in the Time of Cholera, courtesy of AmazonOnlineReader. The movie version starring Benjamin Bratt and Javier Bardem is slated for a November 16 release. "Protecting Your Business," the second segment in the "Building Blocks for Your Small Business @ Your Library" series was another great program. The podcast of this program has two parts. In the first part, Terry Price of S.C.O.R.E. discusses legal issues related to small business employment, including what to consider when dealing with issues such as hiring, training, and terminating, among others. Click here to listen to the part one. In part 2, Coffee Colvin of S.C.O.R.E. discusses what to consider when choosing a financial team to help protect your company's products. Mr. Colvin discusses the importance of having legal advisors, certified public accountants, and insurance brokers as the basis for your financial team. Click here to listen to part two. C-SPAN's Book TV Bus, a 45-foot long mobile television production studio, will travel to Birmingham’s Fiesta 2007 on its nationwide tour promoting Book TV's unique non-fiction book programming. The Book TV Bus is traveling the country, stopping at local libraries, bookstores and book festivals along the way. In partnership with Bright House Networks, the Book TV Bus offers tours of its studio set, participation in an interactive demonstration about Book TV programming, the opportunity to learn how a television show is produced, and a chance to sign up for programming alerts. The bus will be parked outside of the Birmingham Public Library from 12-3 PM during Fiesta 2007. Every weekend starting Saturday, 9 am to Monday, 9 am CT, Book TV airs 48 hours of non-fiction book programming on a variety of topics including history, biographies, politics, current events, and the media. Book TV features author interviews, readings, and panels at bookstores, libraries, and book festivals across the country. For more information, visit the Book TV Web site at http://www.booktv.org/. C-SPAN, the political network of record, was created in 1979 by America's cable companies as a public service. C-SPAN is currently available in 90 million households, C-SPAN2 in 82 million households, and C-SPAN3 in more than 12 million households nationwide. For more information about C-SPAN, visit http://www.c-span.org/. 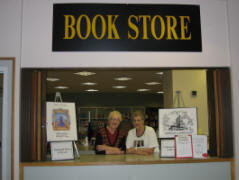 On December 1, 2006 the public libraries of Jefferson County first offered Rosetta Stone Online to all Jefferson County Library Cooperative (JCLC) cardholders. With over 20 different languages to choose from, this has been a very popular product. Unfortunately, Rosetta Stone has made a business decision to no longer allow public libraries to subscribe to their online products. JCLC’s contract with Rosetta Stone will end November 30, 2007. 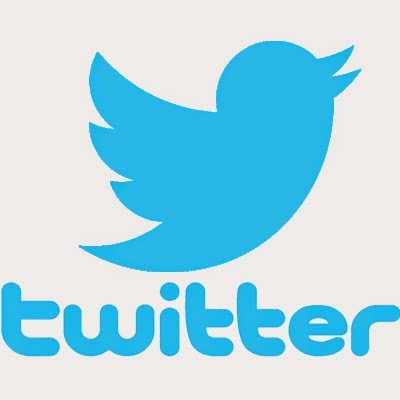 We hope to have a comparable online language product in place by then. To read more about Rosetta Stone's decision, check out today's article in The Birmingham News. The library doesn’t keep a history of items our patrons check out because of privacy issues. But we do want you to have the option of keeping track of the items you check out. It’s simple to do if you opt in to My Reading History. Your reading history will be saved from this point on. You may opt out at any time, or delete individual items in your history que. It's a wonderful way to keep track of books you didn't have time to read but would like to one day. The City of Birmingham's mayoral election will be held October 9. To learn more about the candidates, where to vote, and your rights as a voter click on the links below. The Terminal has photographs, profiles, audios, interviews and links to the candidates' official websites. The Birmingham News at al.com includes articles about the mayoral candidates as well as interviews. Birmingham View has videorecordings of interviews with several of the candidates. 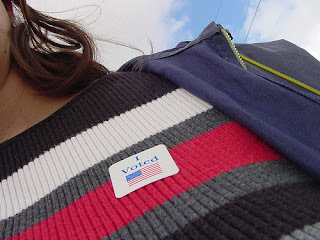 League of Women Voters of Greater Birmingham has answers to frequently asked questions about elections and voting in the greater Birmingham area. Vincent Solfronk, head of Central's Youth Department, was interviewed by Rick Journey on Tuesday's Good Day Alabama. Vince explained how a library card is one of the best school supplies a student can have. Watch and learn what your card can do for you these days. Great job, Vince! Check out Melinda's excellent back-to-school list and see what a rich resource the library is for your school needs. Smithfield Library will host bestselling Alabama author A. Faye Boykin and Eric A. Calhoun, J.D., co-authors of “HSO/HBO – Help a Sister Out/Help a Brother Out! Can We Possibly Meet in the Middle?” There will be excerpts from their work and a panel discussion on the spiritual, emotional, intellectual, and economical aspects of relationships. Boykin was born in Brewton, Alabama, and is an honor graduate from Tuskegee University with a degree in social work. She lived in Dallas, Texas, for twenty years before settling down in Birmingham, Alabama, to take care of her mother. She is the author of one bestseller--No Testimony Without a Test--and three other books: Been Through the Fire But Didn't Get Burned; In Due Season--They That Wait--Don't Wait Too Late; and Gold on Your Fingertips! Stop Sittin' On Your Assetts. 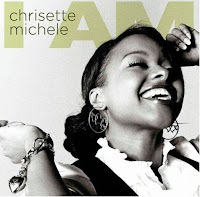 However, her success comes from her calling as an inspirational writer and speaker. She received the 2003 Sojourner Truth Award and is a two time recipient of the Key to the City of Birmingham. 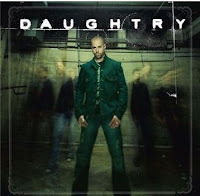 What it takes to find help and hope after the Big "D"
"This is not about me, this is about us. It takes teamwork to make the dream work. Dare to experience one of the most enlightening, entertaining, and enhancing afternoon/evenings of your life!" For additional information check the Calendar of Events.